In the immediate wake of the break-up of the Austro-Hungarian Empire after WW I, on December 1, 1918, citizens of Transylvania, Banat County, Crisana County and Maramures County met in the city of Alba-Iulia and voted to join Romania. (See original resolution) This was ratified in the Romanian Chamber of Deputies and Senate on Dec, 29th. This act was internationally formalized by the signing of the Treaty of Trianon on June 4, 1920, between Romania and Hungary. This brought the three provinces of Wallachia, Moldavia, and Transylvania into the united kingdom of Romania. Unification was first realized for a brief period in 1599-1600 under the rule of Mihai Viteazul (Michael the Brave). The dream of a unified Romania - linking the three primary provinces - remained until 1918. A manifesto in favour of union was issued to the world, and a national assembly, on the analogy of 1848, was summoned to Alba Iulia. On 1 December 1918 this memorable meeting, attended by 1228 delegates and many thousands of peasants, from all the various Roumanian districts of the crown of St Stephen, passed amid unending acclamations a resolution in favour of the union of all Roumanians in a single state (original). Local autonomy was to be retained until a Constituent Assembly, elected under universal suffrage, could be convoked. Greetings were sent to the Roumanians of Bucarest, to all the" liberated peoples of the former Monarchy" (including the Germans of Austria), gratitude was expressed to those who had fallen in the cause of liberty and national unity and to the Allied Powers, and the Peace Congress was invited to assure "the union of all free nations", justice and right for small and great nations alike, and the avoidance of war in future conflicts. The third resolution attempted to define the fundamental principles on which the new Roumanian state should rest, and it is interesting to compare them with the interpretation soon given to them by the politicians of the Old Kingdom. There was to be (I) full national liberty for all races, with use of the mother tongue in education, administration and justice; (2) full autonomy for all religious creeds; (3) "a purely democratic regime in all branches of public life" - general, direct, equal and secret suffrage, by communes, on proportional representation, for both sexes from the age of twenty-one; (4) complete liberty of press, assembly and association, and "free propagation of all human thoughts"; (5) radical agrarian reform, on the basis of "social levelling and increased production"; (6) "the same advantages to the industrial workers as are secured to them by law in the most advanced industrial states". It is highly significant of the spirit of the moment, that they freely recognised the right of the Peace Conference to settle "the definitive boundaries of the state thus constituted", and also that they pledged themselves to treat their minorities "in accordance with the principles enumerated by President Wilson" . The assembly then proceeded to call into being a "Directing Council" (Consiliul Dirigent), under the presidency of Julius Maniu, with a Cabinet of fifteen members: Dr Vaida-Voevod was entrusted with the portfolio of Foreign Affairs, Ciceo-Pop with War, Vlad with Finance, Goldis with Education. 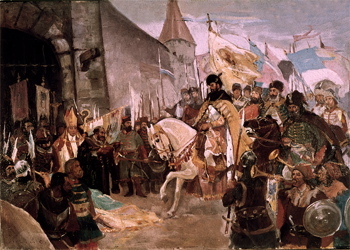 The new Government dispatched telegrams to King Ferdinand and Queen Marie, announcing union with the "Regat" as an accomplished fact, exchanged cordial greetings with the Roumanian Academy, and sent a deputation to Bucarest, headed by Bishop Miron Cristea of Caransebes, the most marked personality among the Orthodox clergy of Transylvania. It was at this time, amid the ruin of all his projects, that the unhappy Metropolitan Mangra died at Budapest, unwept, unhonoured and unsung. 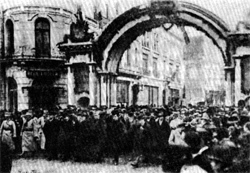 The formal protest of the Karolyi Government against the Alba Iulia decisions passed entirely disregarded, and the uhion was effected without opposition and almost without bloodshed, so completely in abeyance were Hungary's powers of resistance. The secular dream of the Roumanian race, when at last it came, came "as a thief in the night", when preparation had ceased and hope had almost vanished. Take Ionescu, a former deputy chairman of the Council of Ministers in the Ion I. C. Bratianu government, was very active in Paris. 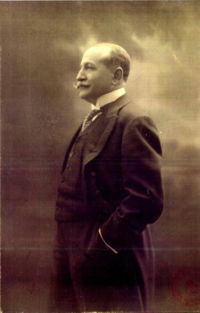 In February 1918 he left Iasi, before the imminent signing of the separate peace with the Central Powers and, in Paris, he took over the leadership of the National Committee of the Romanians from Transylvania and Bukovina which, on 25 August/6 September 1918 was transformed into the Provisional Romanian National Council and on 3 October into the National Council of Romanian Unity. The Council was recognized by all the allies as the true representative of Romanian interests, AI. Marghiloman's Cabinet in Iasi being no more than the government of the Bucharest Peace imposed by the Central Powers. 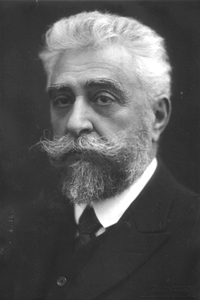 The Romanian delegation to the Peace Conference in Paris was headed by Bratianu who had returned to the office of prime minister as of 29 November/12 December 1918. For political reasons, and also because of his own vanity, Bratianu did not include Take Ionescu in the delegation, which was unfortunate considering the latter's brilliant mind and vast relations with international political circles. Bratianu went to Paris with firm demands. He asked that the treatment of Romania should follow the-provisions of the Treaty concluded by his country with the Entente in 1916. That was impossible, at least in two respects. One concerned the Banat, where Romania could not claim the Serbian Banat too, therefore a border as far as Belgrade, because Serbia, a loyal ally of the Entente since the start of the war, opposed it. The second concerned the problem of minorities, which Bratianu had treated badly in 1917, failing to grant citizenship to the Jews en bloc (after the United States entered the war such a delay could become dangerous, as it proved to be later). Equally significant was the fact that the United States refused to recognise the validity of any treaty or agreement signed before its joining the war. In the beginning, the danger of an attack by Ukraine and Soviet Russia against Bessarabia and Bukovina made the situation even worse. The main adversary of Romania and author of an offensive against it, together with the Hungarian Soviet Republic, was Cristian Racovski, a onetime firebrand of the socialist movement in Romania, now at the head of the Council of the People's Commissars in Kiev. The most important attacks were launched in January 1919, when Hotin was temporarily occupied and General Stan Poetas was killed, and in May 1919, when Tighina was seized for a brief period. The attacks stopped as the civil war in Russia, especially the offensive mounted by Denikin, forced the Soviet troops to concentrate on the internal front and abandon their westward offensive. 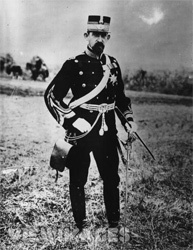 In the west, Romania had to wage war against the socialist Hungary of Bela Kun. In April 1919, the Romanian army repelled a Hungarian attack, advanced in the Apuseni Mountains and occupied the towns of Satu Mare, Carei, Salonta and Oradea, reaching the river Tisza. In close connection with the Soviet and Ukrainian attacks in the west (the links were permanent and obviously aimed at attacking Romania from two sides), and after the successful campaign in Slovakia, in July 1919, Bela Kun's army launched an attack across the Tisza. A powerful Romanian counter-offensive threw the Hungarians back and continued the advance. They occupied Budapest on 4 August, putting an end to Bela Kun's communist regime, and avenging all past humiliation. On 4 June 1920, at Trianon, the Territorial Commission accepted the frontier between Hungary and Romania, which is the present border between the two countries. On 27 November 1920, at Neuilly-sur-Seine, the Commission reconfirmed the Romanian-Bulgarian border established in 1913. There were problems in connection with the Banat, as Bratianu demanded the entire region (he ignored Take Ionescu, who insisted on an agreement with the Serbians, so as to maintain friendly relations with them). Eventually, the border in the Banat was drawn by the Allies, without taking account of the economic development and the ethnic situation. On 27 September 1919 Bratianu withdrew from the Conference and resigned from the government. "We inherited an independent country and we cannot extend its borders at the cost of its independence," he wrote to M. Pherekyde in June 1919. The Allies threatened to withdraw their representatives in Bucharest if Romania continued to refuse to sign the Peace Treaty. A new government (1 December 1919-13 March 1920), led by the Transylvanian AI. Vaida-Voevod, signed the treaties at Saint-Germain-en-Laye and Neuilly-sur-Seine (1 December), with Austria and Bulgaria, while the government of General Alexandru Averescu (13 March 1920-13 December 1921) signed the Treaty of Trianon with Hungary (4 June 1920). Later, on 28 October 1920, France, Britain, Italy, Japan and Romania signed a treaty in Paris recognising the union of Bessarabia with Romania. The first signatories sanctioned the Treaty in 1923, 1924 and 1926, after having received substantial economic advantages from Romania. Given the Soviet economic offers, Japan did not sanction the treaty and it did not legally come into force. As historian G. Castellan wrote, "The united Greater Romania became a reality in international life and an essential piece of the Versailles system."